This is a foreign exchange guide to Sri Lanka, the Sri Lankan Rupee currency plus LKR transfers and travel tips. Sri Lankan Rupee exchange rates - latest & historic exchange rates. What is the Sri Lankan Rupee currency code and symbol? The three letter currency code for the Sri Lankan Rupee is LKR and the symbol is ₨. Is the Sri Lankan Rupee a closed currency? Yes the Sri Lankan Rupee is a closed currency. Which means that you may find it difficult to purchase the currency (LKR) before departure and will probably need to buy it upon arrival. If you do manage to buy some of the currency or have some left over from a previous trip, make sure you are aware if you are allowed to bring this closed currency into the country. It is the domestic currency in Sri Lanka. The interactive chart below shows the USD to LKR exchange rate for the previous 3 months with rate alerts for days when the exchange rate moved up or down significantly or for 30 day highs and lows. Sri Lanka is very safe place to travel despite the 26 year civil war that finished in 2009. You might say Sri Lanka has been hiding in plain sight. 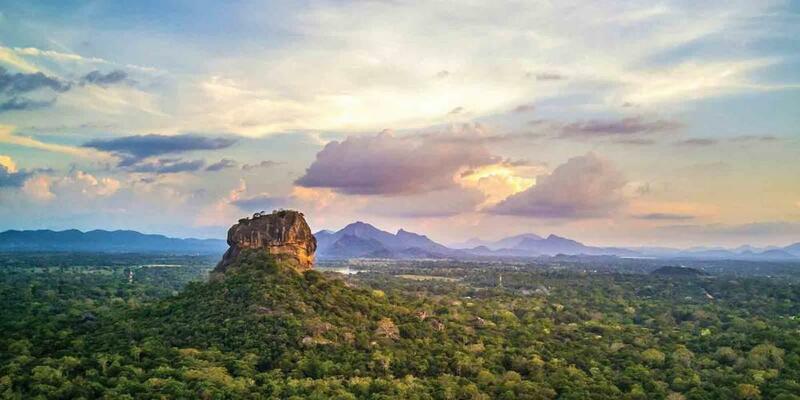 Scores of travellers have passed overhead on their way to someplace else, but years of uncertainty kept Sri Lanka off many itineraries.Now, however, all that has changed. The country is moving forward quickly as more and more people discover its myriad charms. Lying between the more trodden parts of India and Southeast Asia, Sri Lanka's history, culture and natural beauty are undeniably alluring. Few places have as many Unesco World Heritage Sites (eight) packed into such a small area. Sri Lanka's 2000-plus years of culture can be discovered at ancient sites where legendary temples boast beautiful details even as they shelter in caves or perch on prominent peaks. Sri Lanka is spectacular, affordable and still often uncrowded. Now is the best time to discover it. What currency to use in Sri Lanka? The currency of Sri Lanka is the rupee (LKR), and no other currencies will be accepted so be sure to exchange your dollars or get rupees from the ATM when you arrive at the airport. Exchange offices in other countries charge a higher commission compared to getting your money changed when you arrive in Sri Lanka so you'll should to go to an ATM or exchange cash on arrival. It is often possible to change your currency at hotels, but the rate is often not as good. In the cities ATMs are no problem to find and accept most cards and accepted by local establishments (even in small towns), however be sure to let your bank know you are travelling in Sri Lanka before you leave to avoid having your card blocked by your bank due to high fraud risk in this region. How to travel in Sri Lanka? Getting around in Sri Lanka can be quite time consuming so be sure to plan for that. Bus travel in Sri Lanka can be interesting and entertaining. Many locals speak some English, so you may have some enjoyable interactions. Vendors board to sell snacks and gifts on long-distance routes. Driving in Sri Lanka requires constant attention to the road. Country roads are often narrow and potholed, with constant pedestrian, bicycle and animal traffic to navigate. Note, however, that Sri Lanka’s massive road-building program is improving roads across the nation, especially in the North and East. An affordable and convenient way of getting around is hiring a 'car and driver'. A car and a driver guarantee maximum flexibility in your travels, and while the driver deals with the chaotic roads, you can look out the window and – try to – relax. You can find taxi drivers who will happily become your chauffeur for a day or more in all the main tourist centres. Guesthouses and hotels can connect you with a driver, which may be the best method. Travel agencies also offer various car and driver schemes, although these can cost considerably more. Sri Lanka Railways runs the nation's railways, and trains are a great way to cross the country. Although they are slow, there are few overnight or all-day ordeals to contend with. A train ride is almost always more relaxed than a bus ride. Travel tips for Sri Lanka. 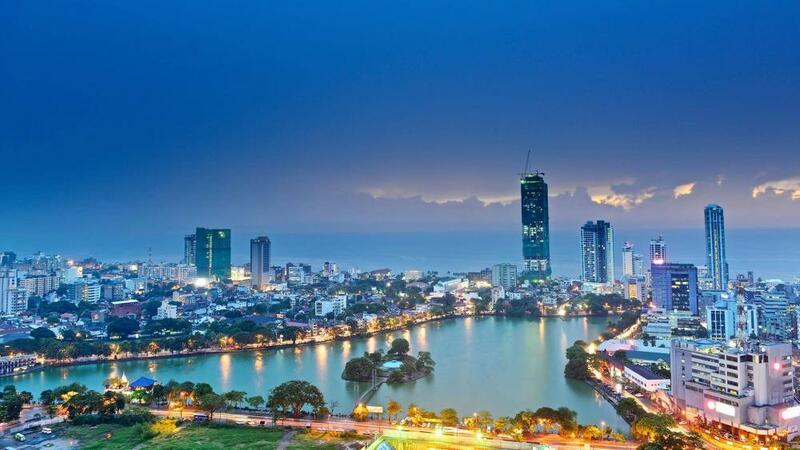 While Colombo is commonly thought to be the capital, the technical capital is Sri Jayawardenepura Kotte, which is the political capital of Sri Lanka. Sri Jayawardenepura Kotte (SJK) is however only 12 km from Colombo and is thought of by many to be a suburb of Colombo, which is the larger more industrial city of the two. Sinhala and Tamil are the official languages in Sri Lanka. English is a ‘link’ language and generally understood by most people and is easy to get by. Off the beaten track knowledge of it thins. English is spoken at all hotels, major restaurants and shops. No inoculations are compulsory unless you are coming from a yellow fever or cholera area. (Cholera is very occasionally reported in Sri Lanka, so is not considered a serious risk.) However, some vaccinations are recommended, particularly if you plan a long trip or intend visiting remote areas so check with your doctor if that is the case. As mentioned above, the Sri Lankan Rupee is a closed currency. 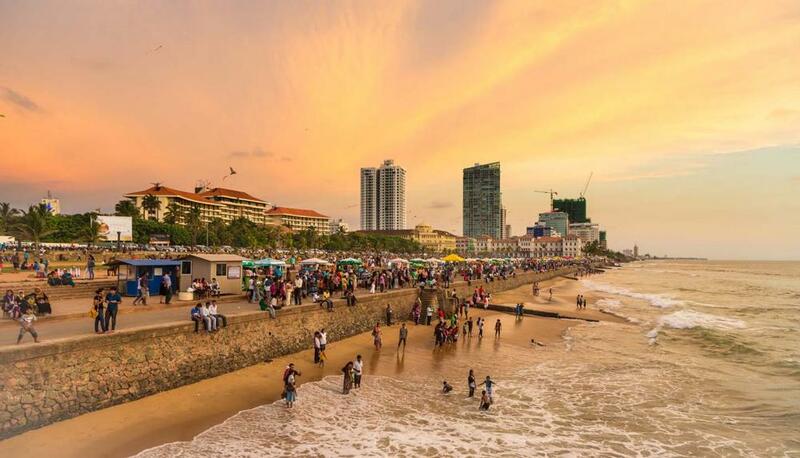 Which means that you may find it difficult (or be permitted) to purchase the currency (LKR) before departure and will need to buy it upon arrival in Sri Lanka. For these types of destinations, using a pre-paid travel card is a good solution. As no travel cards support loading closed currencies like the LKR you will incur currency conversion or foreign transaction fees if you use a travel money card in Sri Lanka. When searching around for information on how to get a good exchange rate when sending money to Sri Lanka you need to start with finding out the latest Sri Lankan Rupee foreign-transfer exchange rate. Once your funds are received by the provider the converted LKR amount will be transfered to the recipient account you specify in Sri Lanka. Use our Send to LKR calculator to compare the exchange rates of FX specialist providers rates versus your bank's standard rates you can hopefully save around 5% and maybe more - end result is more Sri Lankan Rupee deposited into the recipient bank account and less margins and fees kept by the banks!